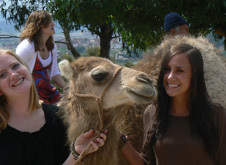 Internships are a smart way to immerse in the culture and everyday life of Granada. You'll have the opportunity to gain practical experience in areas like education, health care, and tourism through placements in local schools, health care organizations, and hotels, depending on your Spanish language level. In addition to exploring potential career fields, you'll also take language courses and cultural electives at the University of Granada.